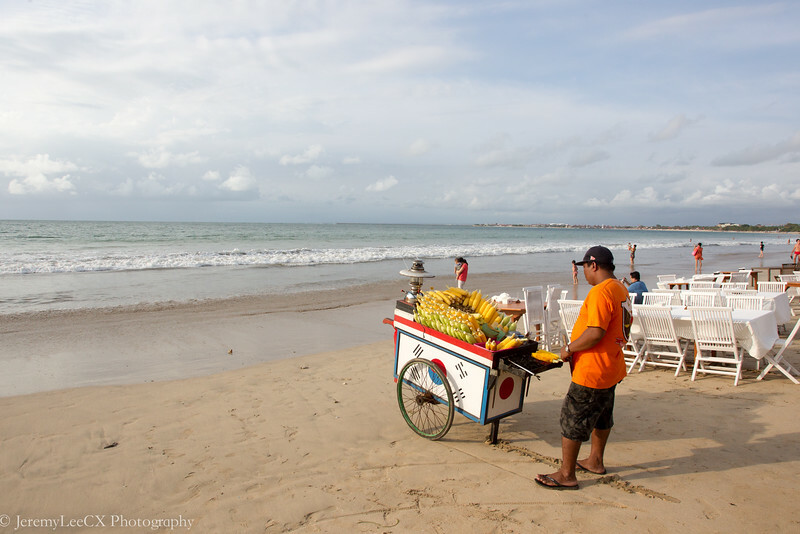 Nusa Dua is a little boring to me, thus I booked Made for half a day and asked him to bring me to Jimbaran for dinner. Before that we went to a local massage house for some decent massage. 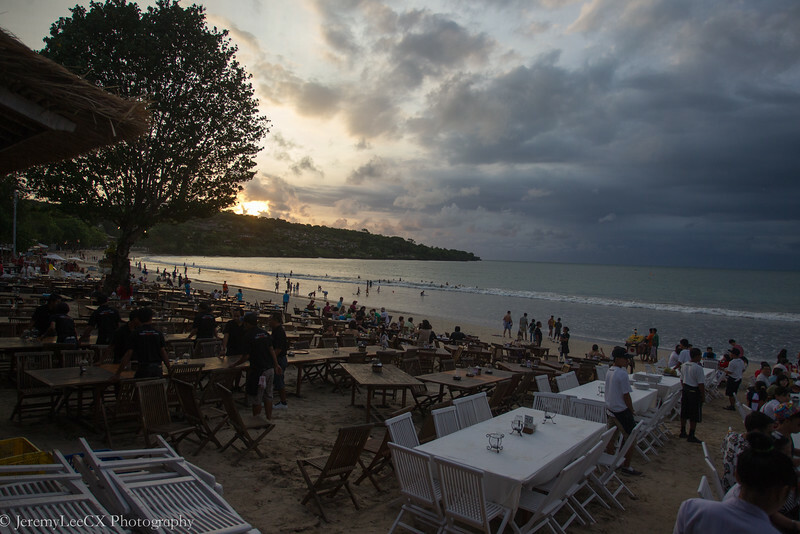 Jimbaran is a short 20mins drive away from Nusa Dua. 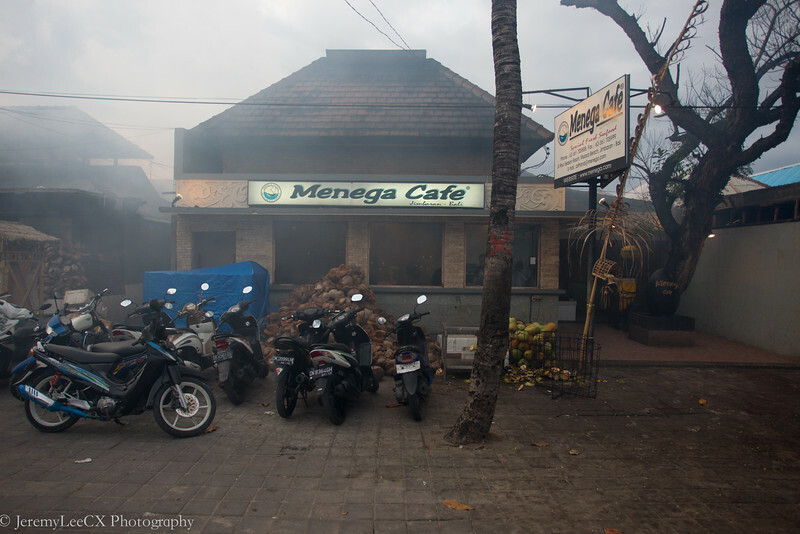 Made recommended the Menega Cafe which is one of the more popular joints at that stretch. 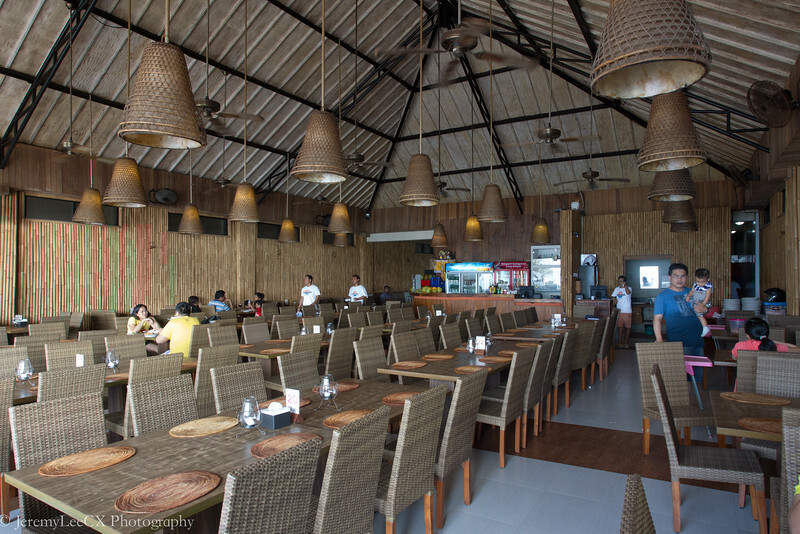 As above picture, the cooks use coconut husks as firewood to intensify the smoky flavour of the bbq-ed seafood. 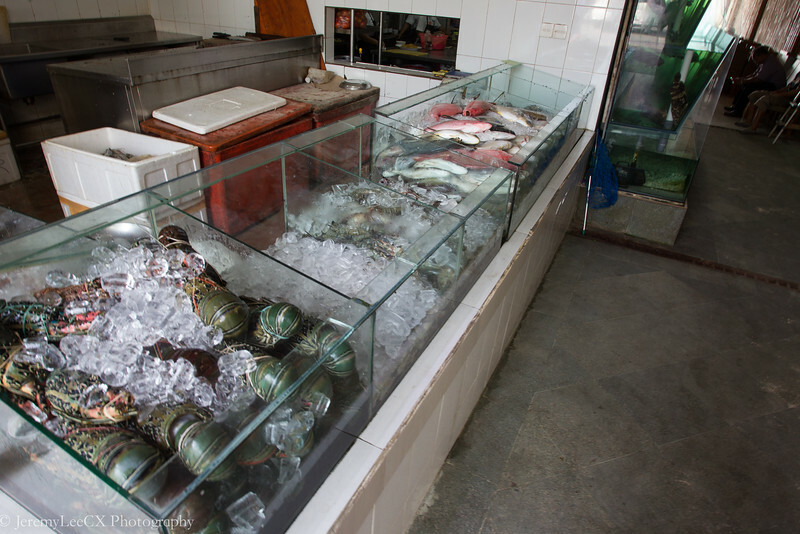 As we walked past the kitchen, we saw huge variety of seafood on ice, lobsters, prawns, you name it, they have it. 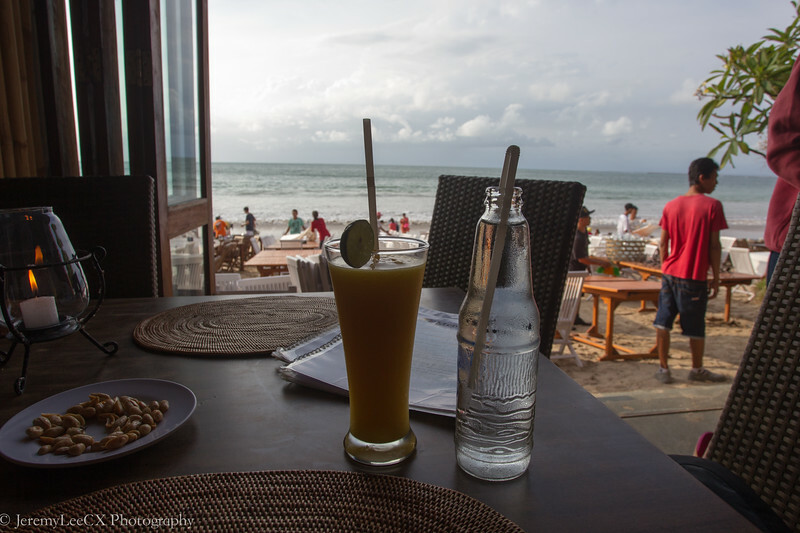 We arranged for an indoor seat and ordered a bottle of water and mango juice to quench our thirst under the tropical heat. 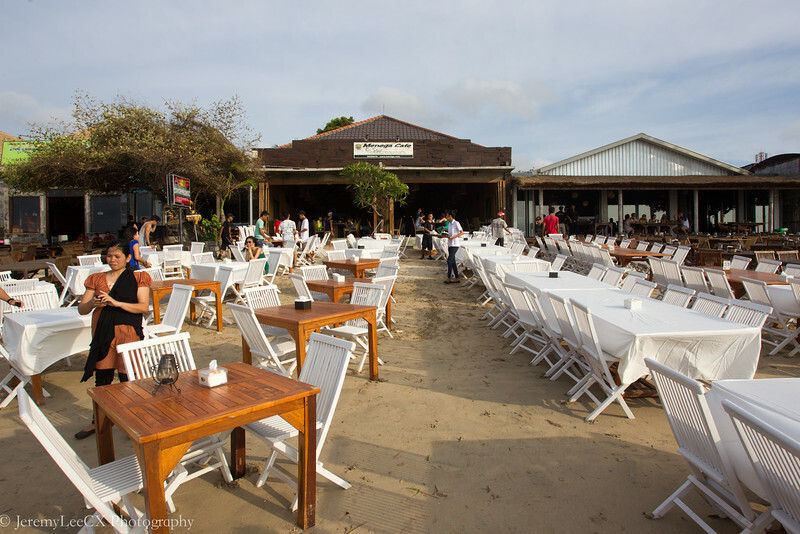 If its not for the smouldering heat, I would have sited at one of these beautiful tables on sand. As I returned to the table, the food are already here. 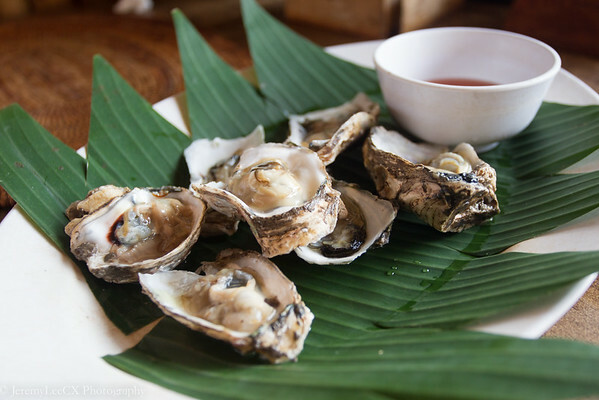 The oysters were real fresh and for IDR150,000 (SGD 15) for half a dozen, seem a little over the top, but it was well worth it. 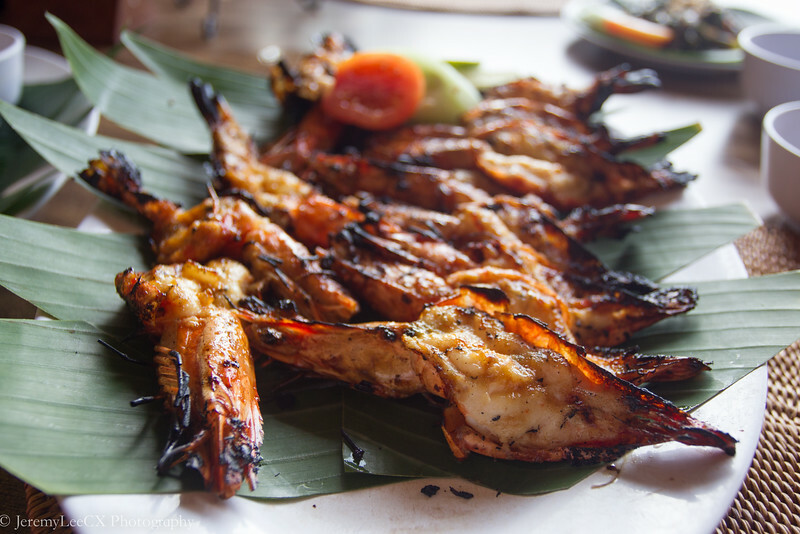 The highlight of the evening were the grilled tiger prawns. The smell of the smokiness and grilled crustacean shell just tell you that this dish won't go wrong. They even spread their home-made chilli sauce which gives an additional kick & zest to the prawn. Truly amazing, only complaint was that the prawns could be larger. 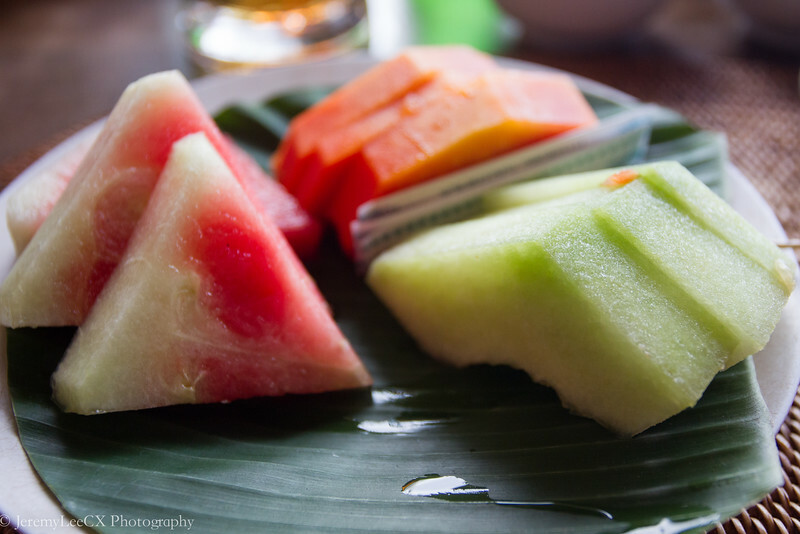 As we cleared every dish on the table, we were served a plate of fruits with the view of the setting sun. As the night starts to fall, we called it a day and returned to the hotel. 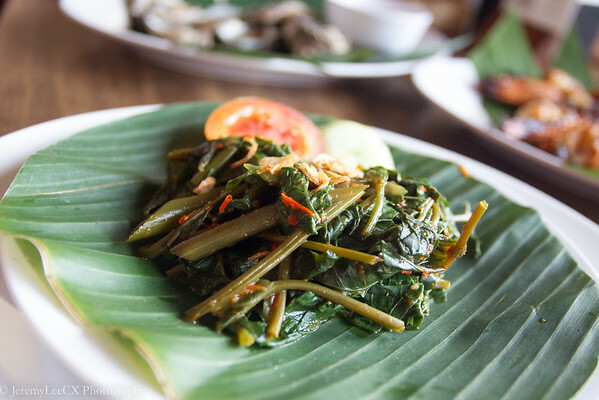 It was the final night of my Bali trip and what a meal to end off the trip. 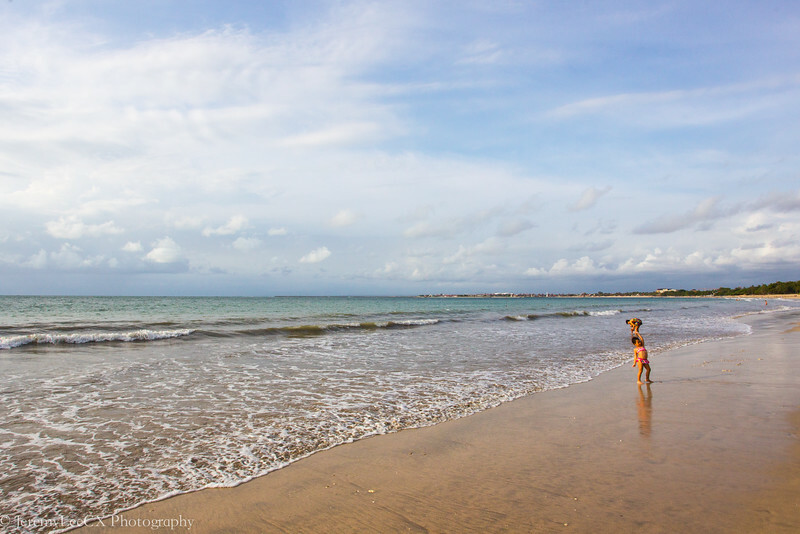 This is the last instalment of Bali and I will be covering Dubai in my next trip report.